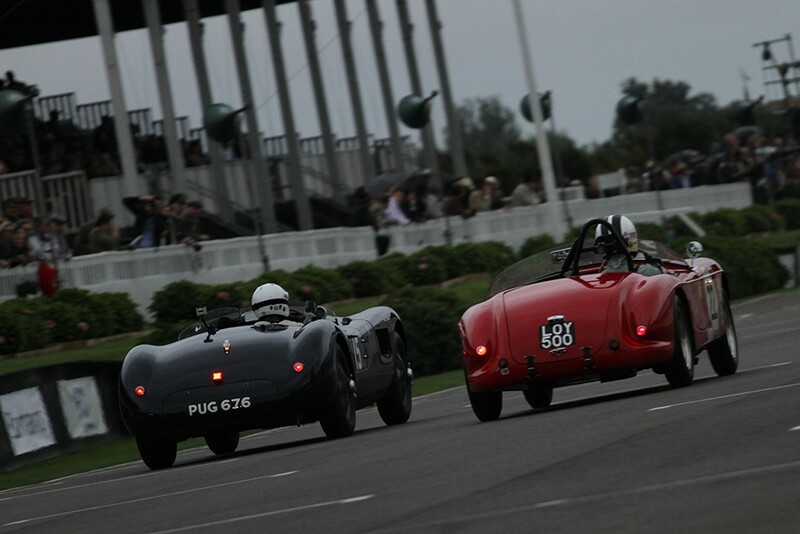 West Sussex, UK – Jaguar C-type vs Aston Martin DB3S – is there a more evocative Goodwood confrontation than that? Particularly when the cars are roaring through the Sussex night, lights ablaze? It was the sights, sounds and sheer rivalry of racing like that that kept Goodwood spectators spellbound in the 1950’s. Now everything is set for a re-run, Revival style, with the first race to kick off the 2015 meeting on Friday September 11. 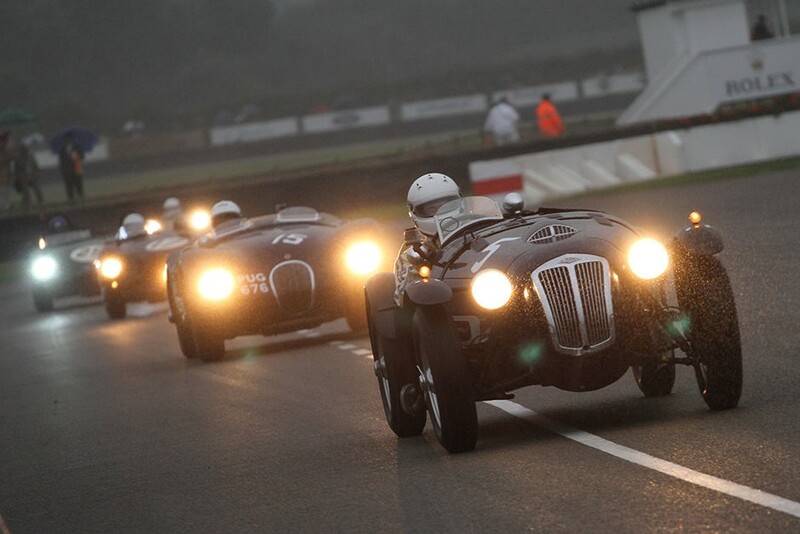 And, yes, this year a superb field of cars – and assorted C-types and DB3Ss are just the start – will be running into dusk. (Head) lights, camera, action indeed! 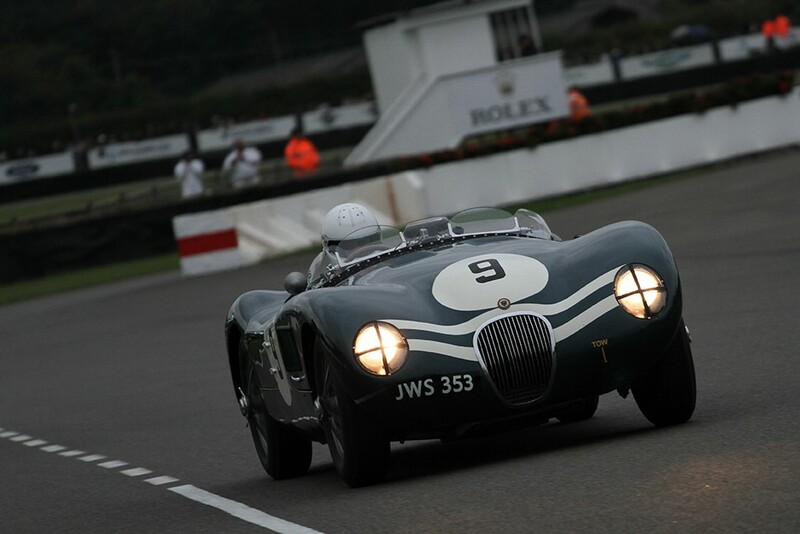 Today the race is the Freddie March Memorial Trophy; then it was the Goodwood Nine Hour. A great deal has changed since the last Nine Hour, run in 1955. 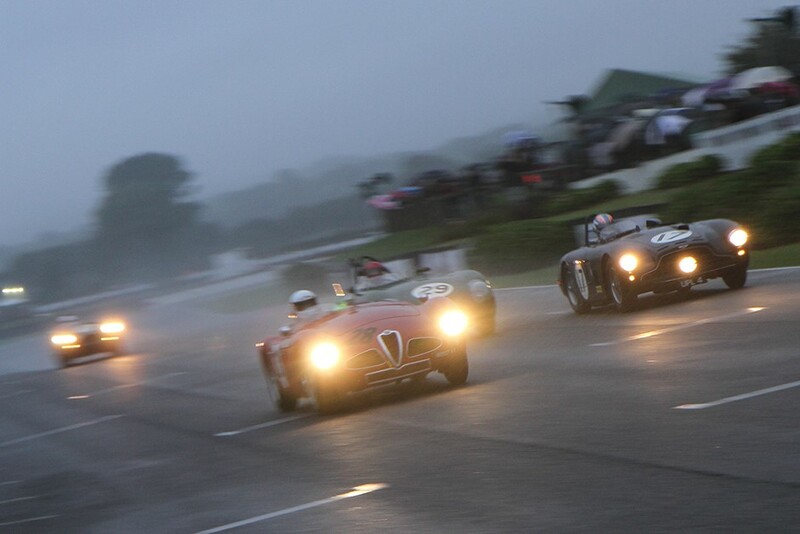 For one thing, the nine-hour endurance marathon is now a 90-minute, two-driver sprint race. It’s less demanding of cars and drivers (and spectators!) but as regulars to the Freddie March will know, there’s more close racing than ever and plenty of thrills and spills. The crucial thing is that the cars taking part today are truly in the spirit of the machines that battled for victory in the 1950s. Despite there being just three Nine Hour meetings – in 1952, ’53 and ’55, and all won incidentally by Aston Martin – all have gone into Goodwood legend. Today the racing is about far more than the factory Jaguar and Aston teams battling it out. In 2014 the Lagonda V12 of Darren McWhirter stormed to victory, followed home by a Cunningham C4R and Austin-Healey 100S. For 2015, there’s no Lagonda but there is a Cunningham C4R and several Healey 100Ss, plus HWMs, Maseratis, Frazer Nash Le Mans Replicas, an Alfa Disco Volante, Mercedes Gullwing, Tojeiro and Coopers with both Jaguar and Bristol power. Not forgetting of course five Astons and six Jag C-types! With plenty of tail-out action on the track (and often on the grass, too) the Freddie March Memorial Trophy should be an exceedingly close race as well as a spectacular start to this year’s racing at the Goodwood Revival. The Freddie March wasn’t run as a dusk race last year but our highlights video still gives a great taste of the action. What will happen this year? The only thing GRR can say with certainty is that whatever does happen, it will be spectacular.